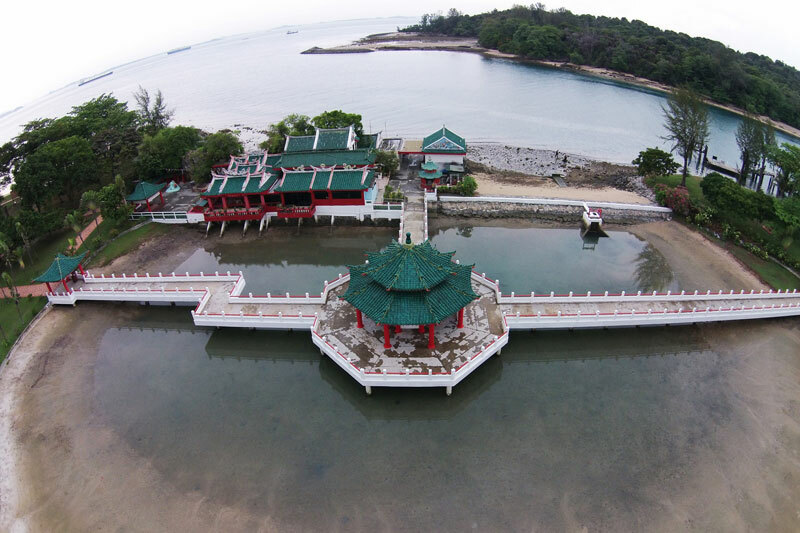 Located on one of Singapore's southern islands is this beautiful jetty and Chinese temple. This is Kusu Island, also known to many people as Turtle Island. Legend has it that a magical sea turtle turned itself into an island to save two shipwrecked sailors. 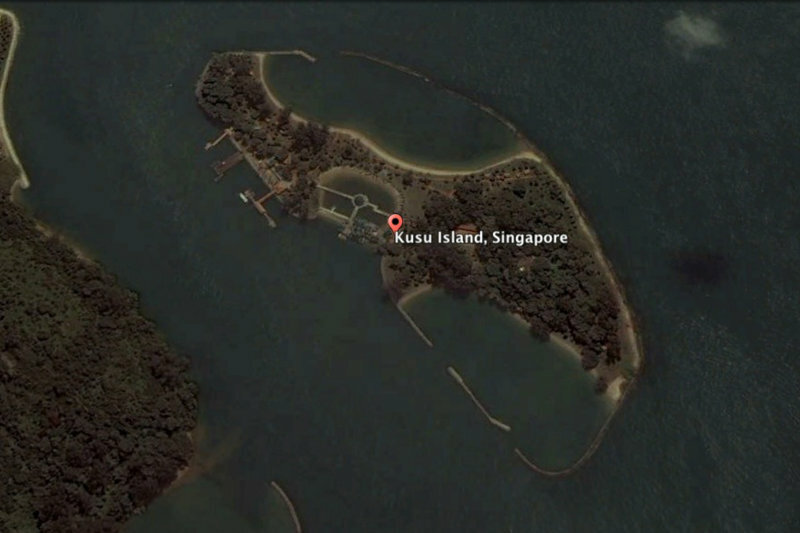 Here is a map view of Kusu Island from Google Earth. Map of Kusu Island from Google Earth. 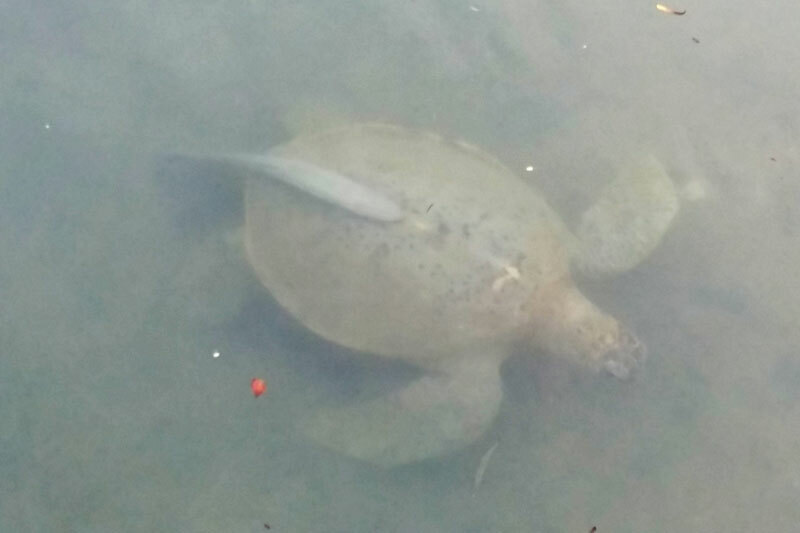 In front of the temple is a large pool with a number of sea turtles. You can see the sea turtles when the water level in the pool is shallow. (Unfortunately, I feel rather sad seeing them swim in such shallow waters.) 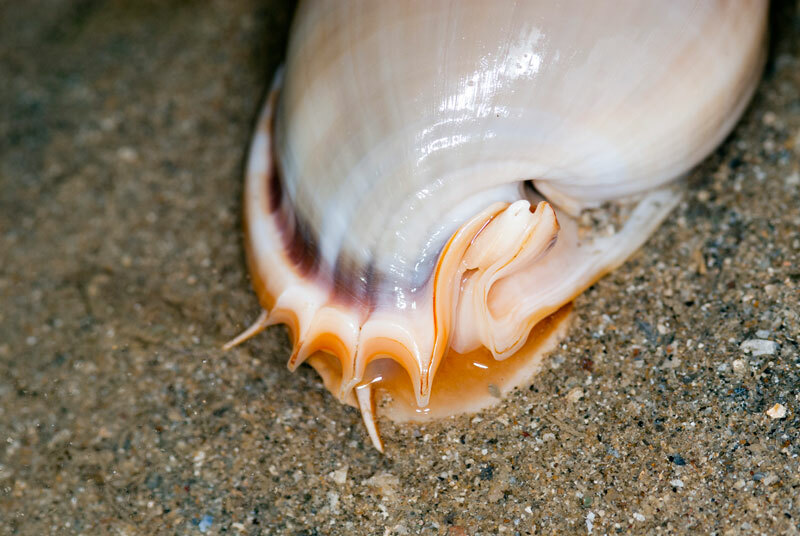 One of them even have a remora fish attached onto its shell. Sea turtle with a remora fish attached on it shell. 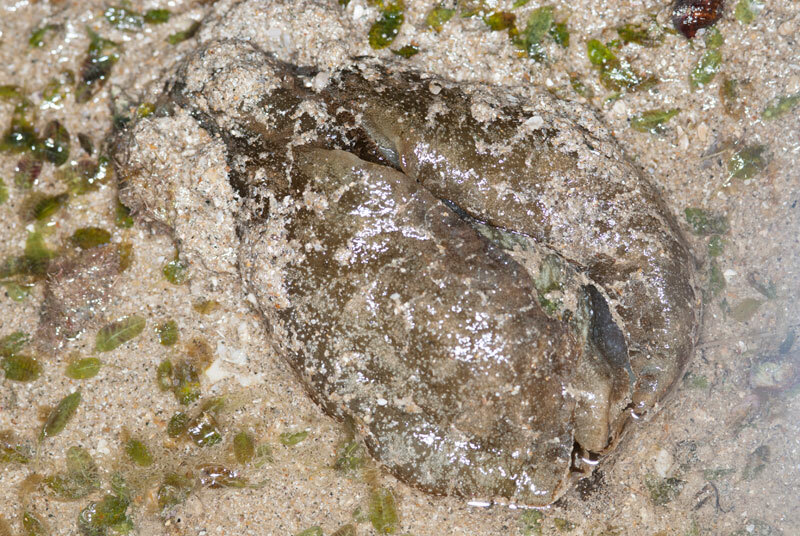 The objective of coming to Kusu Island was not to see the turtles but to check on the intertidal shore. Earlier this year, the main lagoon on Kusu Island was hit with oil spill as a result of a tanker collision nearby. 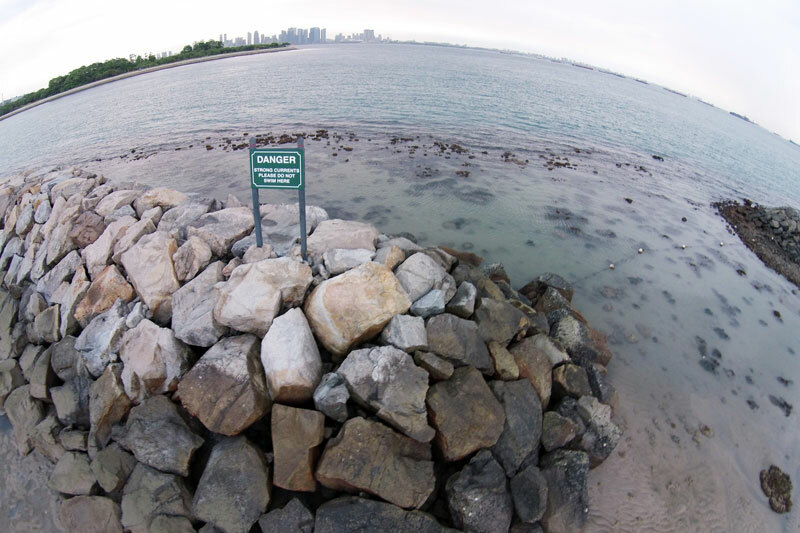 You can read more about the oil spill check on Kusu Island here. Though the shore is rather quiet after the passing short Sumatra shows, there were still interesting animals to be seen. 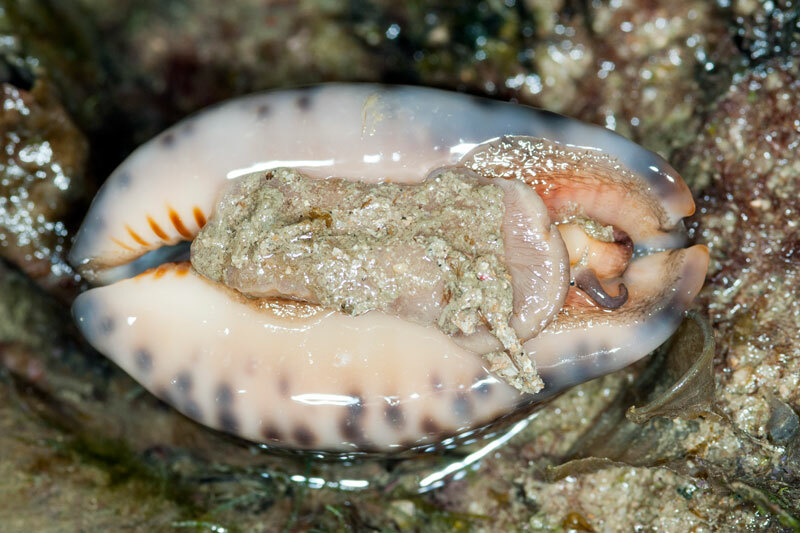 The extraordinary sea hare (Aplysia extraordinaria) looks to be in a much better appearance as compared to the oil spill incident. 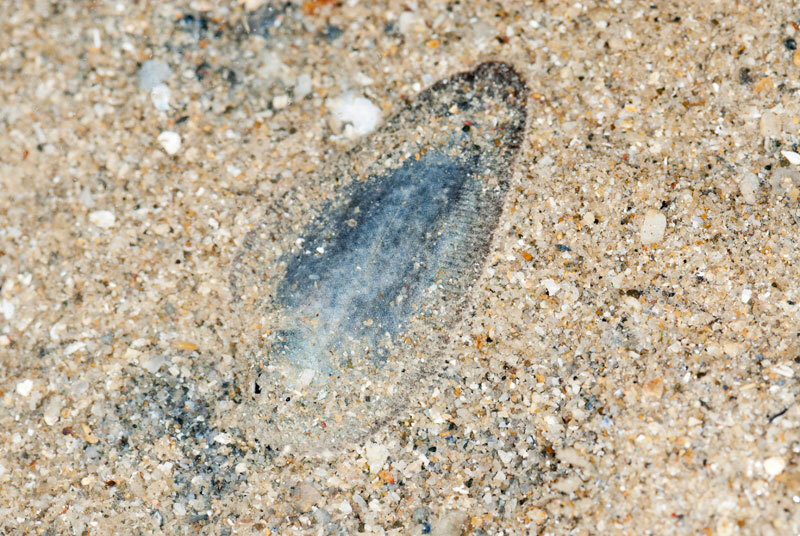 I only came across one sea hare of them but I am sure the rest saw a few of them. The special find for me on this trip would be the kuiter's dragonet (Dactylopus kuiteri). It was showing us its special flag-like large dorsal fin the whole time. I love the lip colour of this fish. Kuiter's dragonet, from the tail. 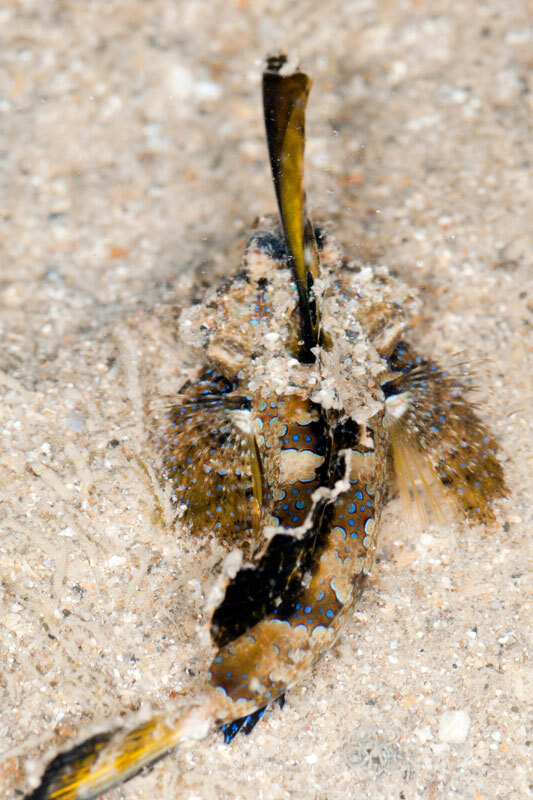 The other interesting fact about the kuiter's dragonet is that it has a little "feet" on each side of its body. Actually that is its detached first ray from the rest of its pelvic fins. If you look closely at the first image of the fish, you can actually see the first ray. It kind of help the fish to "walk" on the substrate, from observation, when it is too lazy to swim. 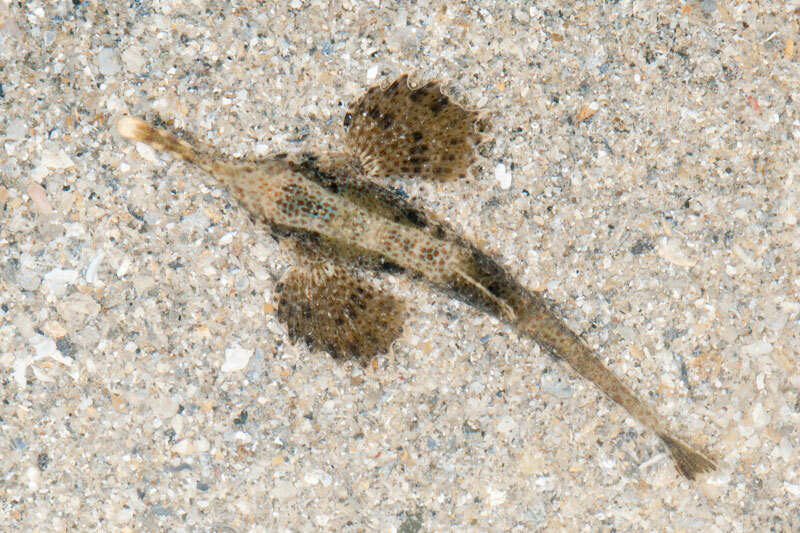 Easy confused with the kuiter's dragonet would be the slender seamoth (Pegasus volitans) that was found just a few steps from the dragonet. Both fish like to spread open their pelvic fins. 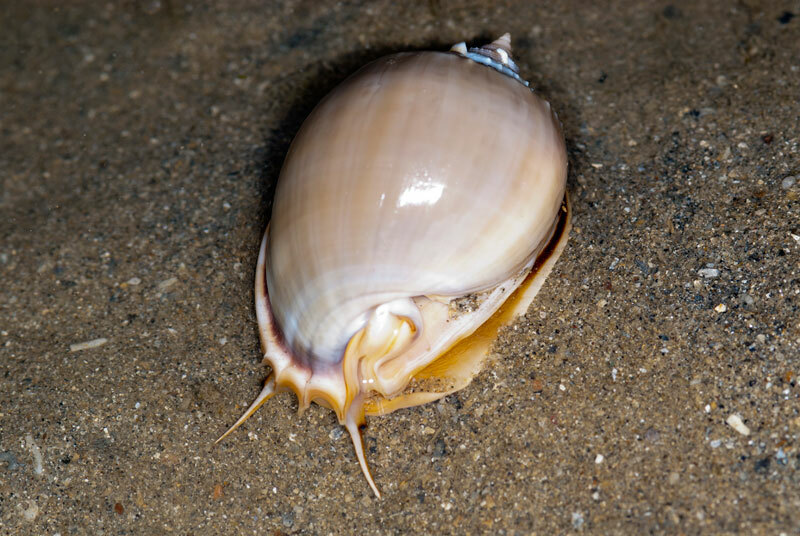 Nearby, Rene found a grey bonnet snail (Phalium glaucum) hiding in a crevice. 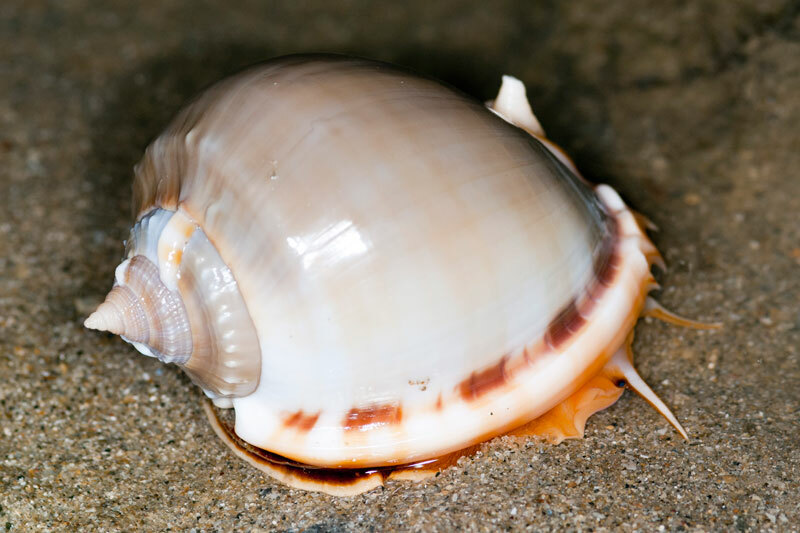 Some of the members on today's trip were quite puzzled as to how the bonnet snail is able to survive on this shore as it feeds on sand dollars. Perhaps there are sea urchins available as its alternative source of food? 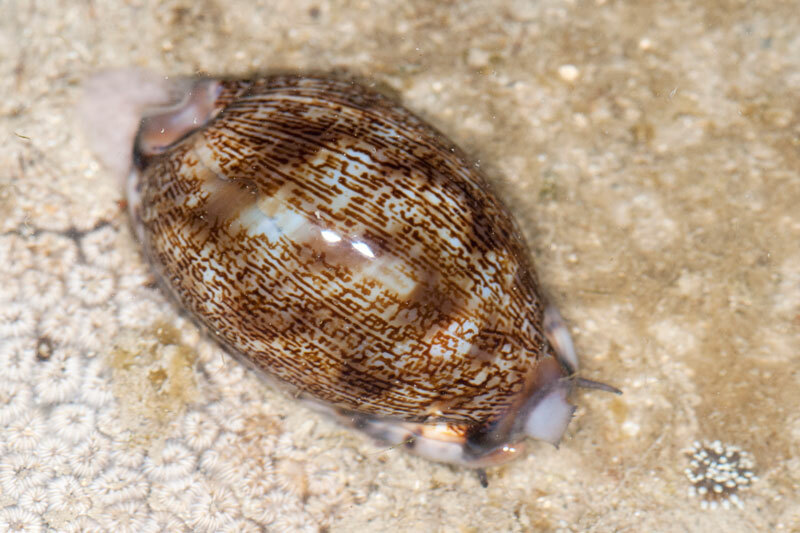 However, after some thought, it seems possible to find grey bonnet snail here since the snail has been seen at nearby Seringat-Kias. 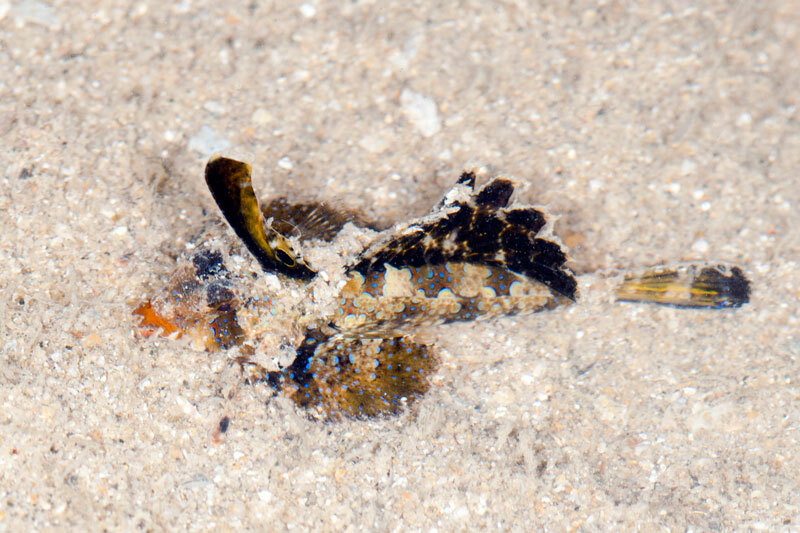 The other interesting find for me was a well camouflaged sole fish in accompanying the kuiter's dragonet. I only spotted the fish when it moved and it was very well covered with sand. 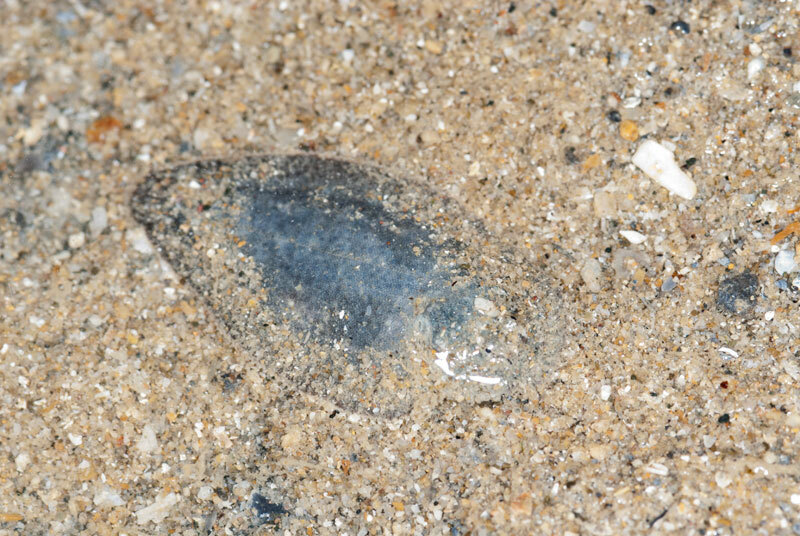 I think it is a juvenile oriental sole fish (Brachirus orientalis). Another view of the sole fish. 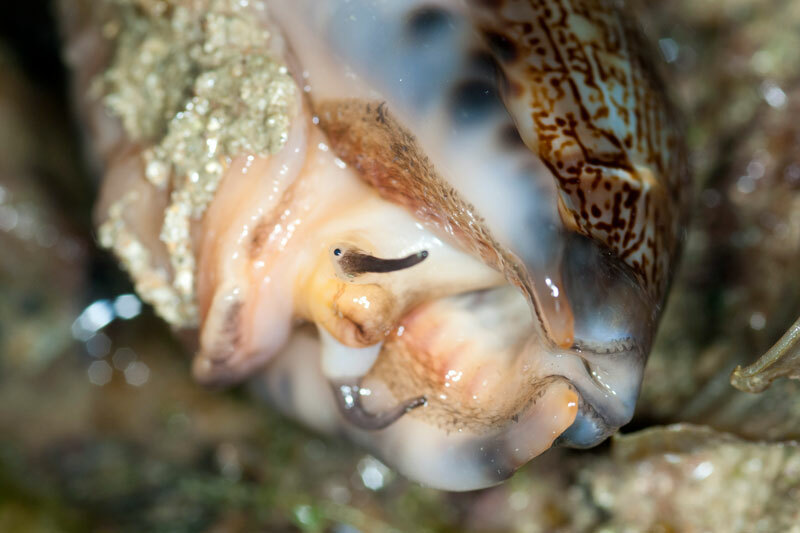 Another amazing snail was a cowrie found by Marcus. 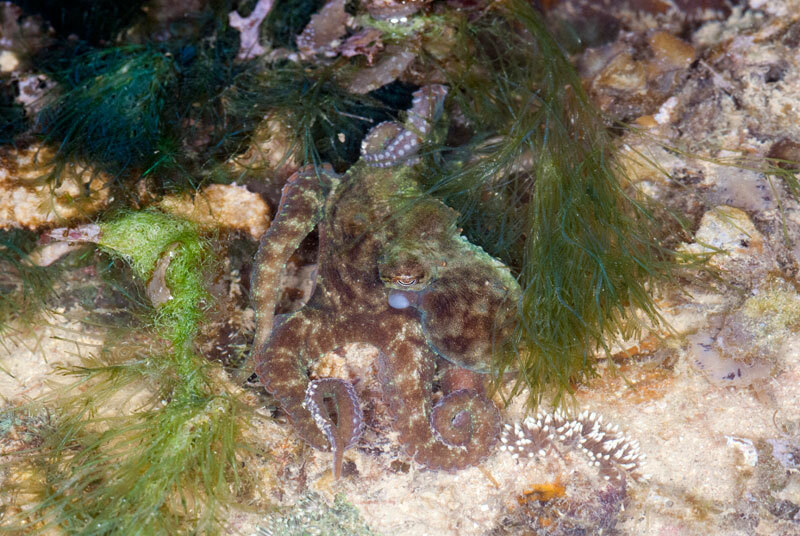 An octopus sneakily pretends to be part of the reef, but not quite mastered the technique as it moved in front of my eyes. 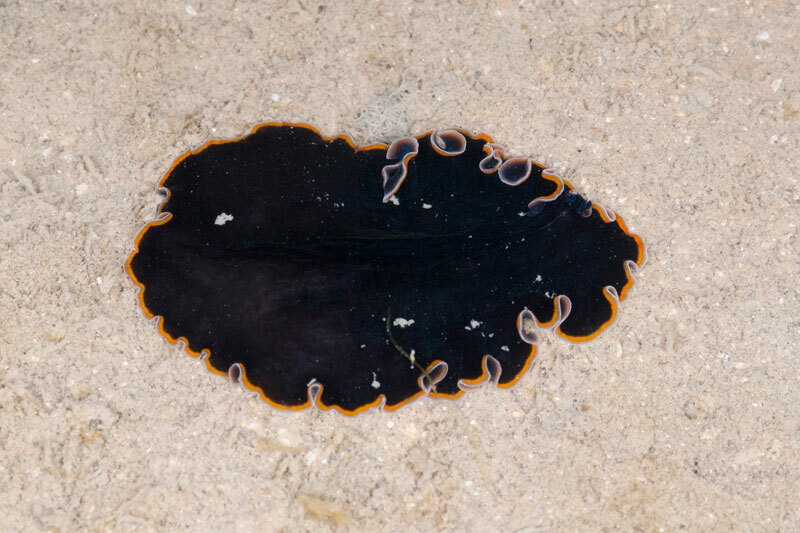 The only flatworm we saw today was the dawn flatworm. When the sun rose, it was time to fly my drone. I planned to capture aerial footages of as many shores as I can. While the drone was preparing to take off, it made friends with the common seastar. The Drone with a common seastar. Here is an aerial photo at the mouth of the lagoon, showing the 'Danger' sign. 'Danger' sign at the mouth of the lagoon. The video footage is undergoing some processing and uploading. It will be embedded on this post once the video has been uploaded on YouTube. Update: The video is ready for viewing! Here's two other panoramic images from my phone. Panoramic view of the main lagoon. Panoramic view of the temp and turtle pool. Ria - How is Kusu Island doing? I love the video clip! Thank you, Drone Commander!